Game of Thrones Season 8 Premiere Date Set for April | Nerd Much? Well, it’s not an exact date, but it’s more concrete than it’s ever been before. HBO released a new teaser trailer this morning and confirmed within it that the Game of Thrones Season 8 premiere date is set for April. Now that we know the Game of Thrones Season 8 premiere date is slated for April, the countdown can officially begin. At worst the final season’s debut is 166 days away (Sunday, April 26th), and at best 143 (Sunday, April 5th). It’s worth noting that Sunday, April 21st is Easter for 2019. But I don’t know whether that would attract HBO or if they would be more apt to avoid it – thus starting releasing the premiere on April 26th. Easter isn’t a typically heavy travel holiday. Season 8 of the series will be shorter than usual in episode totals. It will consist of 6 episodes instead of 10, however, all of them are said to likely exceed their typical 1 hour run time. The writers and directors for each of the 6 episodes were previously announced. Episode 1 is written by Dave Hill and directed by David Nutter. Nutter will direct Episode 2 as well off of a script by Bryan Cogman. The series’ showrunners David Benioff and D.B. Weiss will then write the remainder of the final season. 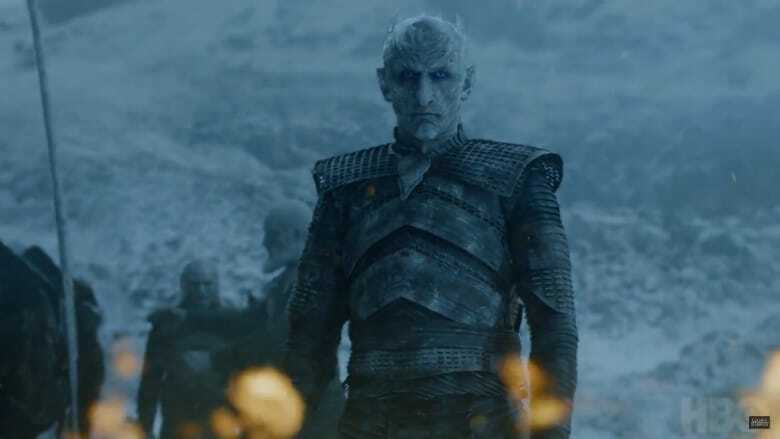 Miguel Sapochnik will direct Episode 3, David Nutter Episode 4, Sapochnik returns for Episode 5 and then Benioff and Weiss will wrap the series by directing Episode 6. But fret not Thrones fans. Once the dust settles on the final season, there is still likely to be more story ahead. HBO has ordered a pilot for their prequel series that will revolve around the events of The Long Night. Casting has already begun with Naomi Watts being the first big name added. If all goes well, Game of Thrones will take its bow in 2019 with The Long Night hopefully replacing it in 2020 or 2021.